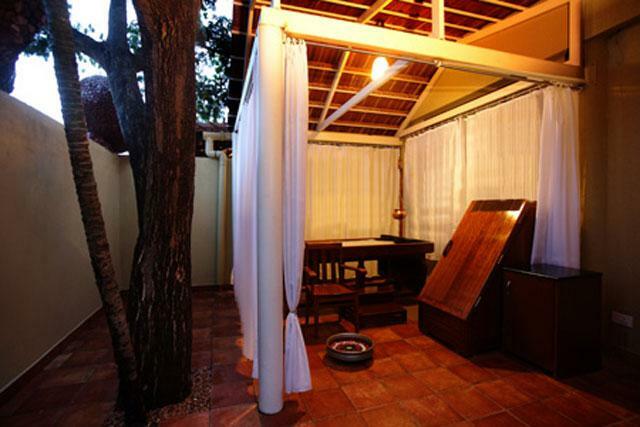 Planning a holiday trip to Mysore and want a relaxing place? 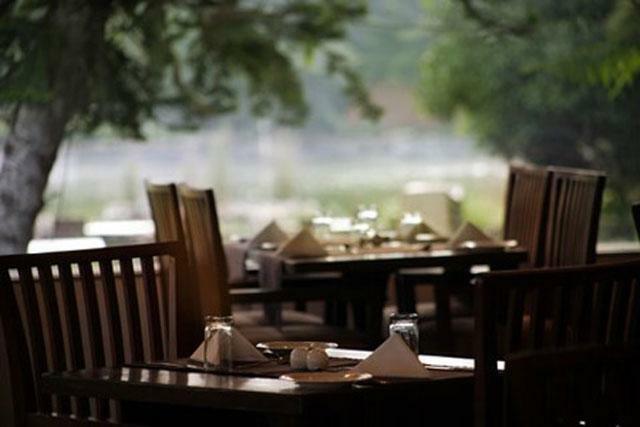 Here is Silent Shores Resort & Spa as the name suggests the solace and tranquillity. 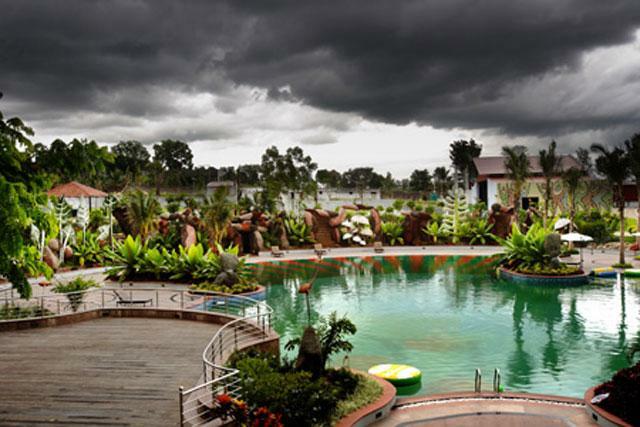 The resort is spread on a 27 acre greenery and lovely lake which is the unique feature of the hotel. The Resort can be visited can during any season of the year. 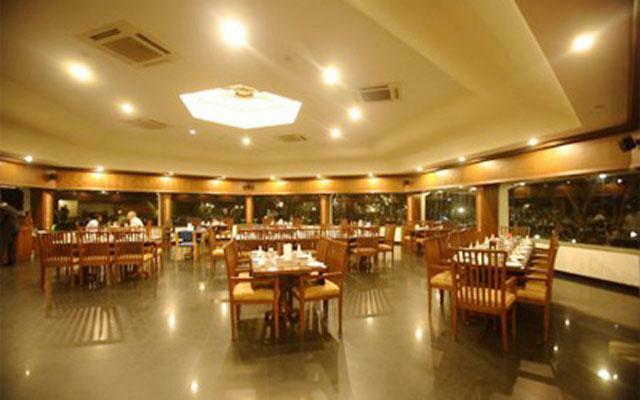 Plan a trip and go back with refreshed and relaxed memories of holidaying in Mysore. The hotel constitutes 57 rooms, a restaurant and a bar. 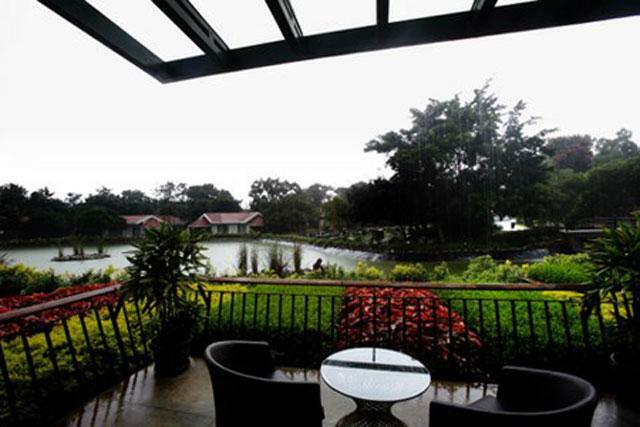 Some of the rooms in Silent shores has an excellent view of the lake, pool and greenery in the property. 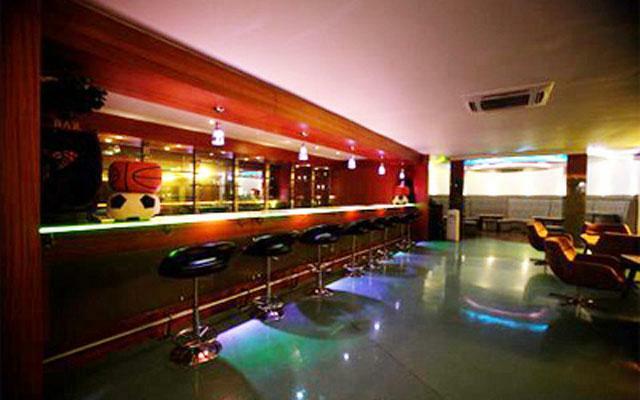 Some of the modern amenities and variety cuisines are designed to pamper the visitor. • Children below 5 years stay complimentary. 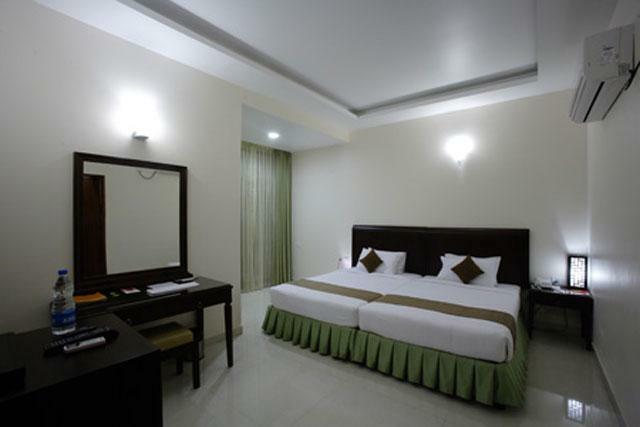 • Extra bed or Extra Person at Rs.1500/-. 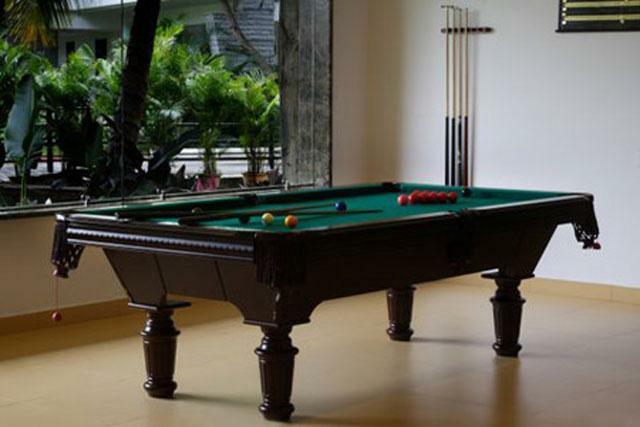 • Game Room: Carrom, Chess, Pool Table, Snooker. (Medium For all ages.) & we have Double Seat Cycle. • Swimming Pool 12,000 Sq. 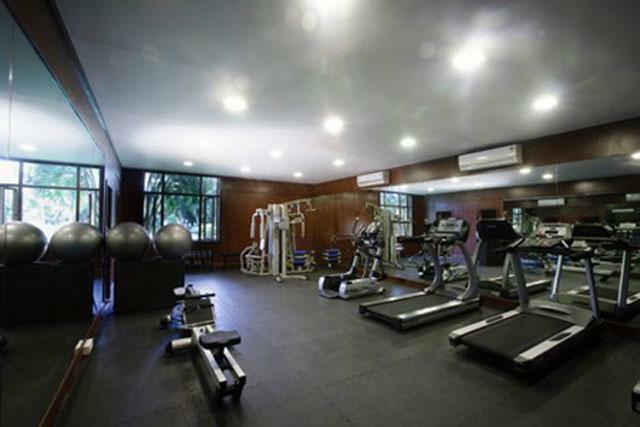 Ft.
•The Basic category of room called the Classic – The room size is 1440 sq ft and 910 sq ft, there are 18 rooms in this category. Ideal for families as rooms are which faces the garden and comes with a living room and some are interconnected. 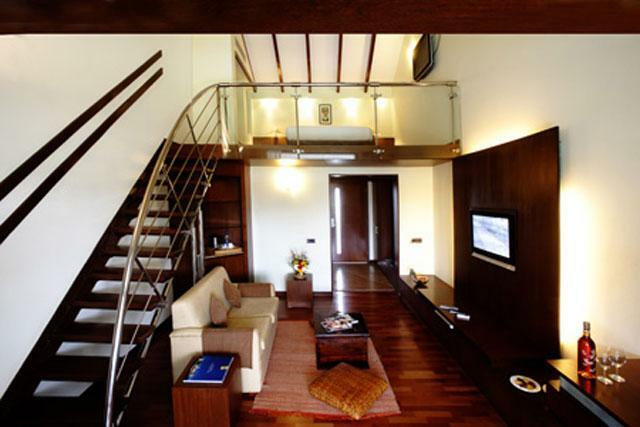 •There are 12 rooms of Deluxe category measuring 428 sq ft which includes a balcony facing the Lake. •12 Duplex rooms are built on the 1st floor with a Mezzanine floor covering about 622 sq ft – having a private balcony facing the Lake. •There are 6 Lake View Cottages built on 591 sq ft, having 2 restrooms- equipped with a Jacuzzi and another restroom is with an open shower – Specially made for honeymooners. •The Ultimate Spa suites are aesthetically built on 2092 sq ft,which boasts of 2 restrooms in each suite, one of which has a Jacuzzi - There are 9 Spa Suites.